Since I first visited the vegan paradise that is Berlin, I have faithfully called it my favourite German city. 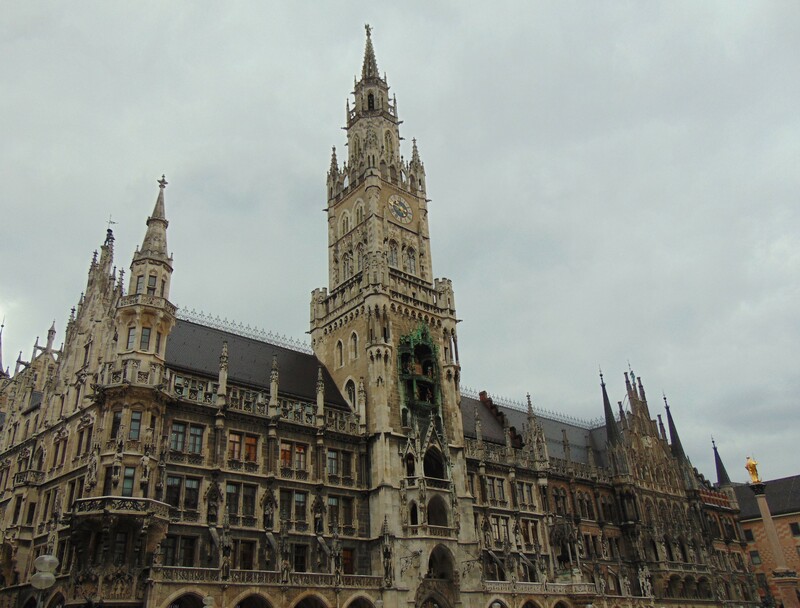 But this Easter I betrayed it by making a sneaky trip to Munich. And I regret nothing! We marked our arrival in Munich with a trip to Bodhi, an all-vegan pub/restaurant specialising in Bavarian cuisine. It’s not limited to Bavarian food though, with numerous burgers on the menu alongside some extremely tempting fried starters. The starters menu actually reminded me of Madrid tapas bar B13, with its onion rings, crispy seitan bites, and these calimari. They had that perplexing rubbery texture (it’s delicious, but how do they do it?! 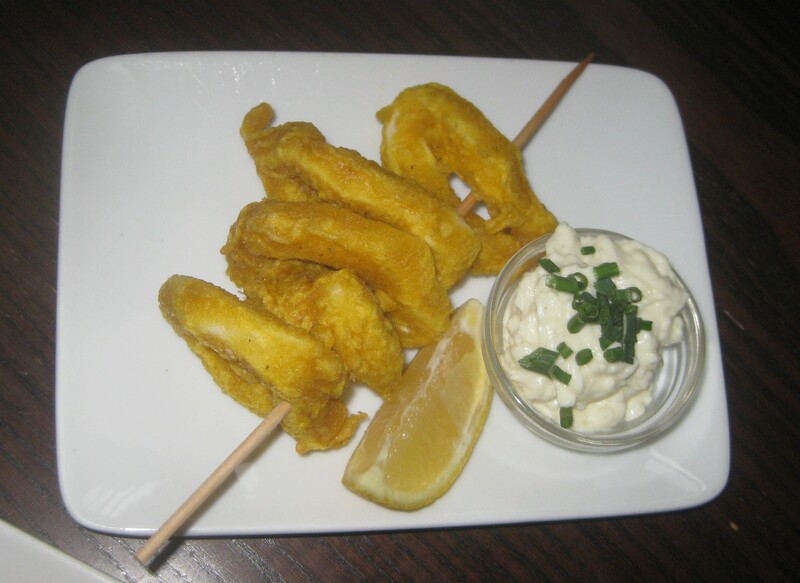 ), a taste of the sea, and light, crispy batter. Highly recommended if, like me, you rarely get a chance to try this dish. The buffalo cauliflower was also excellent. I’ve made this dish a few times, so it was nice to finally have it made for me to figure out what it’s actually meant to be like. Oh, I loved it. 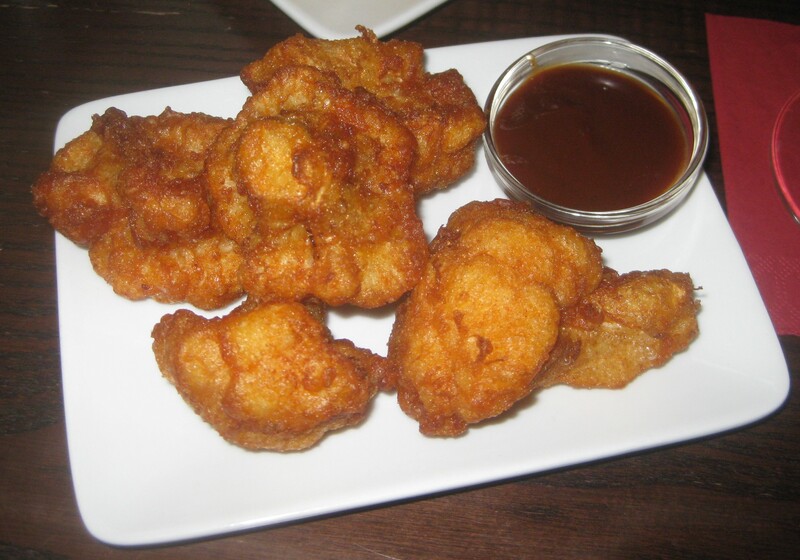 It was really succulent, oozing with flavour, and so beautifully fried. We moved on to some actual Bavarian stuff for the mains. 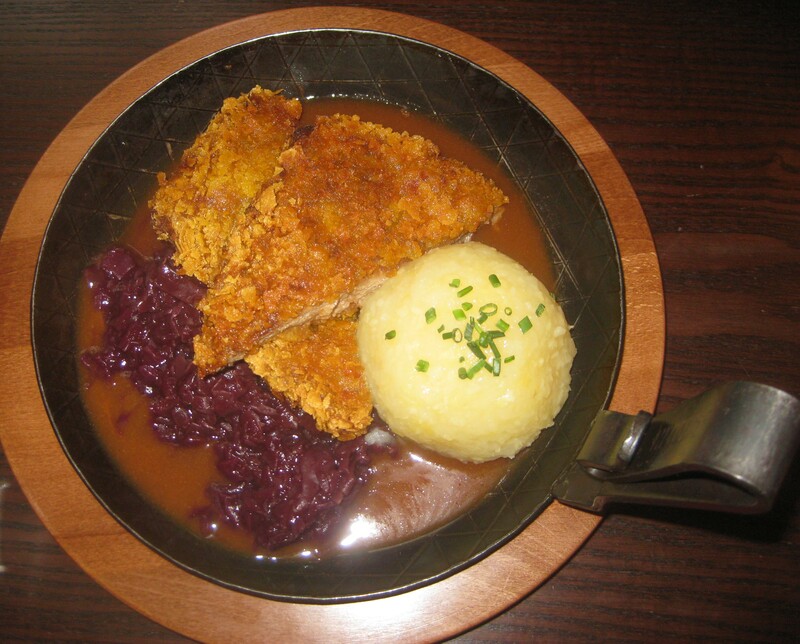 I spent my Erasmus year in Augsburg, just outside Munich, and as a vegetarian, Kässpatzn was basically the only dish I ever ate in restaurants. So it was nice to try it again as a vegan – but I wonder if the portions were always this gigantic?! 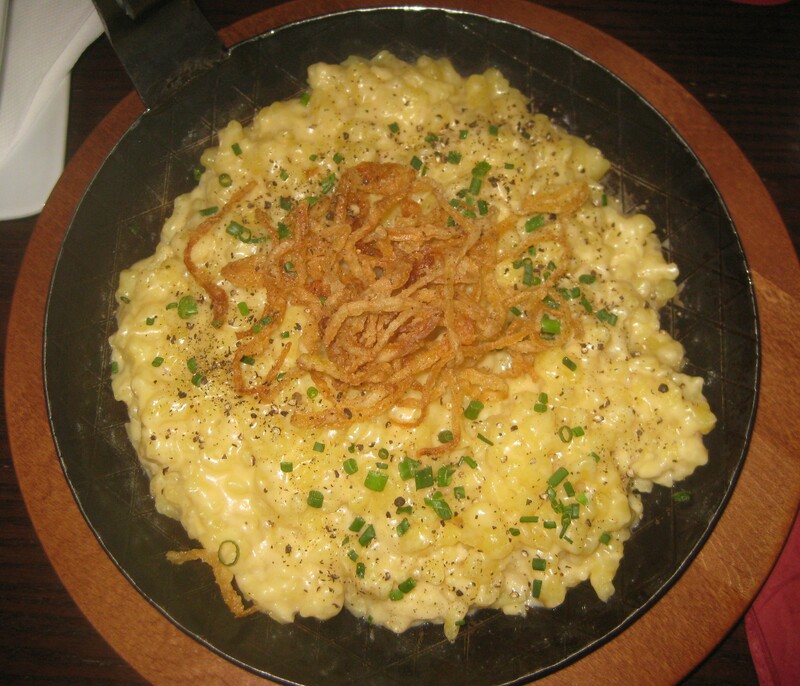 It’s essentially a mac’n’cheese, with an especially creamy sauce. The fried onions were a little soft, more’s the pity, but the pepper and herbs on top were just perfect. It came with a side salad, which just seemed silly: let’s have no pretence of healthiness with this beast! Dr HH went for the more varied Pfanderl plate, which he positively raved about. It featured two huge, crispy, delicious slabs of soy steak, some kind of huge potato dumpling, lots of red cabbage and a rich, sharp beery sauce. He was very pleased with his choice. As you can see, this was also a huge portion. 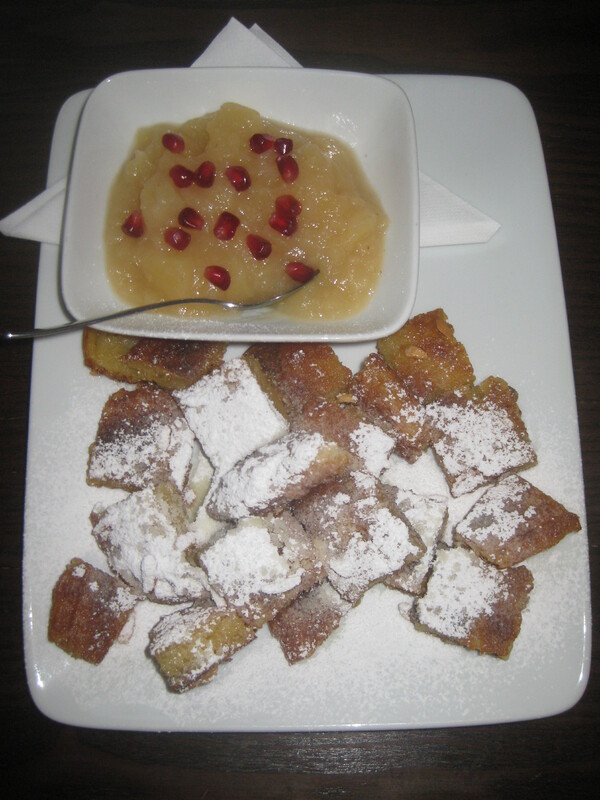 There are a few desserts on the menu, and we opted to share the Kaiserschmarrn (if you’re planning a visit, please note that it takes 20 minutes to prepare). This was a real treat, and even though we were already pretty full, it was not the kind of dish we could abandon. It is essentially a pancake with raisins and almonds in it, torn into pieces, deep-fried, sprinkled with icing sugar and served with a pot of apple sauce. If that doesn’t tempt you, then what kind of monster are you?! I would definitely recommend sharing this – it was hearty. We ate so much food here, and it should definitely be on your itinerary if you’re visiting, particularly if you want to try some hearty German food. The menu is in English as well as German and the staff were really friendly and helpful. It was nice to be in a pub again as well – there isn’t a smoking ban in the Czech Republic yet (allegedly coming in June), so I never venture in them here. Despite all the German food, it felt like a very British experience! The next morning we breakfasted at Lost Weekend, a bookshop/vegan cafe close to the university. I had seen on Instagram that they sometimes had croissants, so we were a bit disappointed to find sandwiches and cakes but no pastries. We made the most of it, though, as you can see. 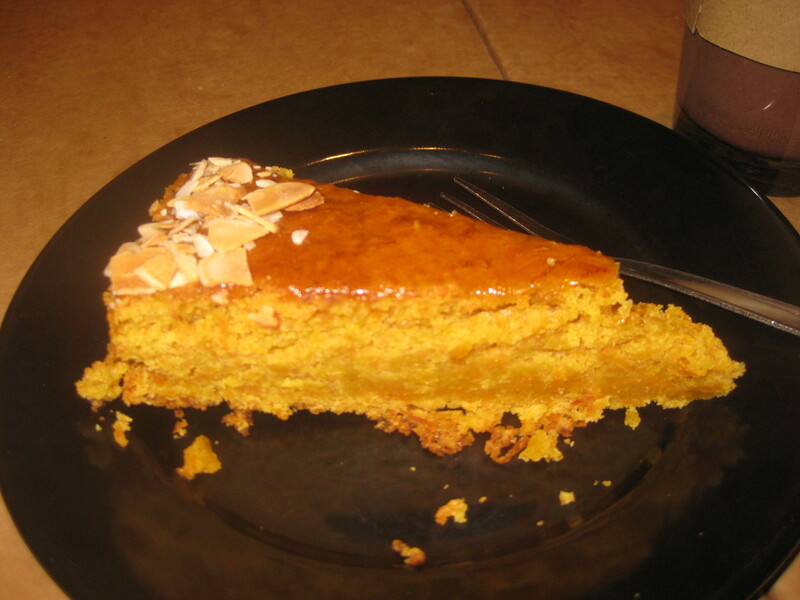 I had some breakfast cake, of course: the carrot cake was really good, and so sticky on top. 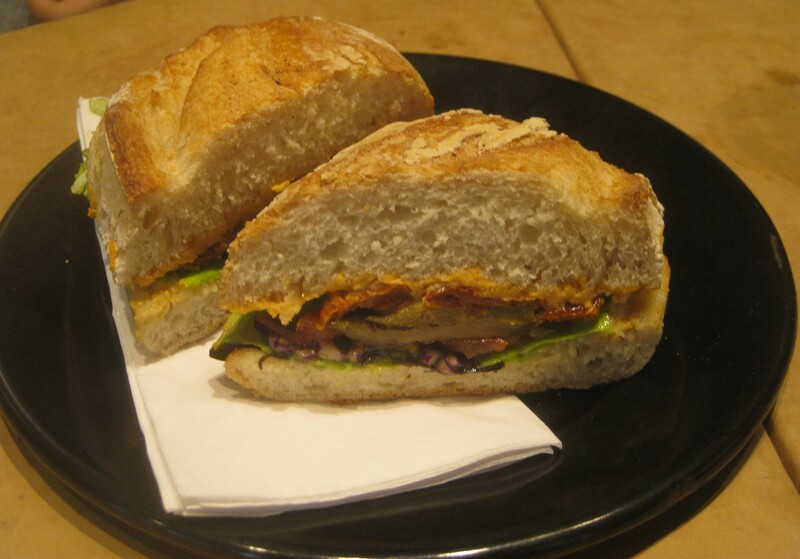 Dr HH loved his antipasti sandwich too, with its roasted courgette, sundried tomatoes, hummus and nicely toasted bread. A great start to the day! The next day started even better though – we popped back to Lost Weekend and found a hearty pile of chocolate croissants. Hurray! 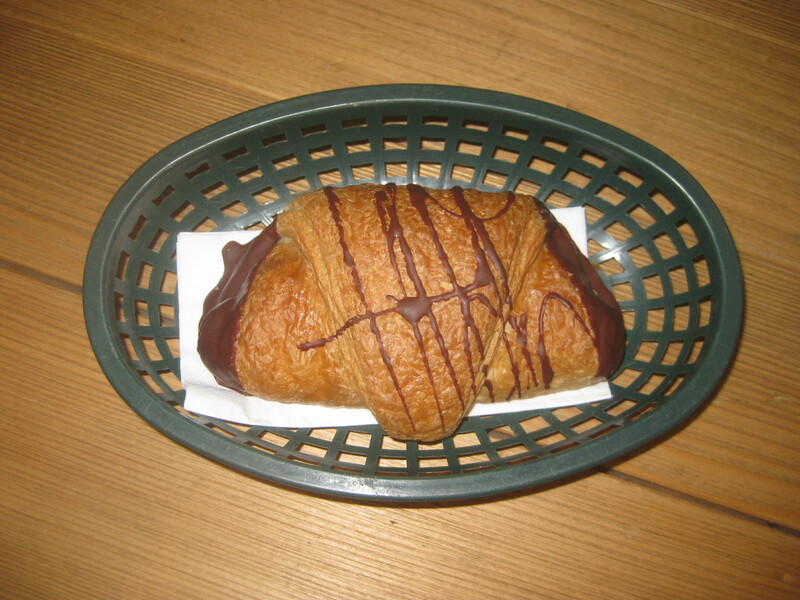 The croissant itself was really flaky, with excellent layers. Best of all, it was both dipped in chocolate and filled with chocolate. 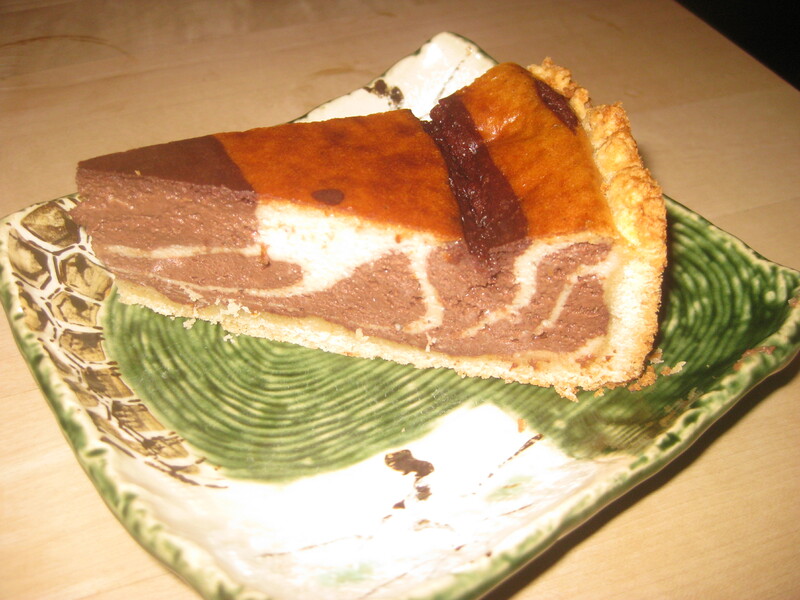 The chocolate inside was quite solid, and I bet it would have been even better if it was all melted and gooey. This was a great place to grab breakfast, and would be equally good for a lunch. Also, great for people watching. A similar breakfast/lunch kind of place is Tushita Teehaus, a pretty little tea house with a couple of breakfast dishes, a daily Buddha bowl-style lunch and an impressive cabinet of cakes. It’s extremely popular, so booking is recommended – we just managed to squeeze in. 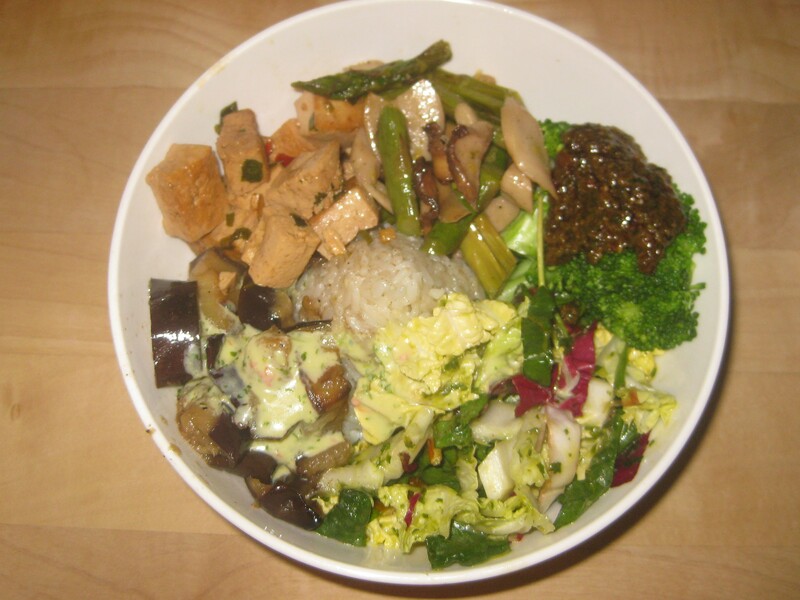 On the day we visited, this was the bowl: rice, asparagus, aubergine, beautifully seasoned tofu, salad, and broccoli with pesto. There are two sizes available (€9 or €13.50), and I’d suggest getting the small so that you have room for cake as well. We shared a slice of this black and white cake, which had a wonderful biscuitty base and beautiful creamy marbled filling. 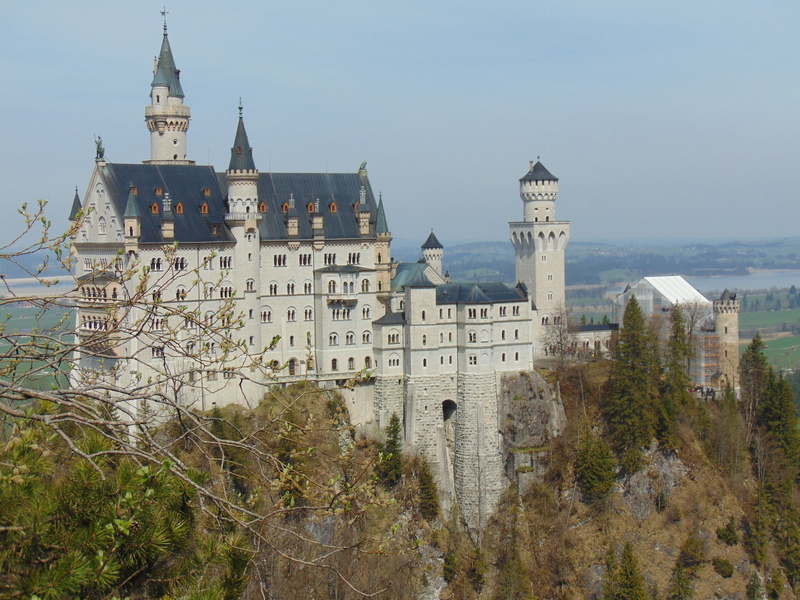 We also picked up a couple of seitan pasties to take with us on our day trip to Neuschwanstein Castle the next day. Even though they were cold, they were really tasty. 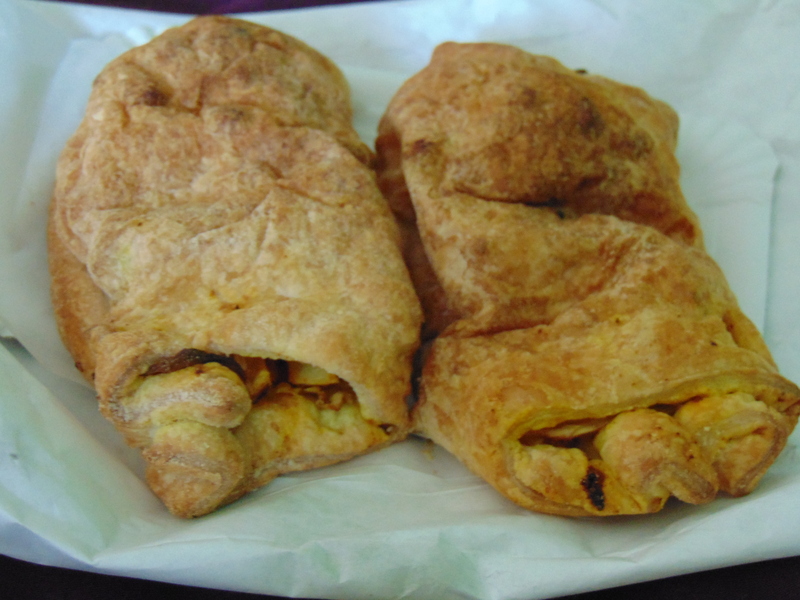 Unfortunately the seitan was in really tiny pieces, but the rest of the filling was great: lots of cabbage and spices. And the castle wasn’t too bad either! What a great start to our visit, eh? Come back for part two to find out if Munich has replaced Berlin in my heart! 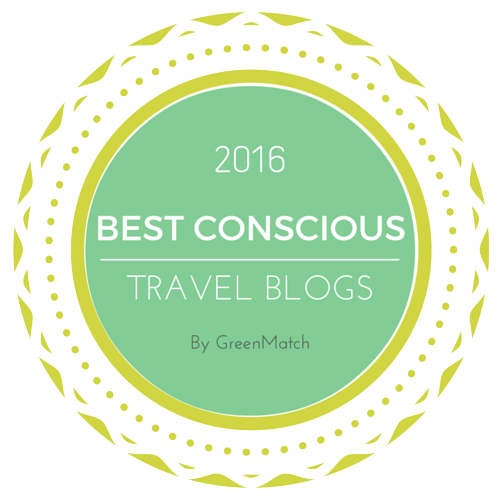 This entry was posted in Travel and tagged Bodhi Munich, Lost Weekend Munich, Tushita Teehaus Munich, vegan Munich, vegan travel. Bookmark the permalink. All these pastries look so yummy! Especially the savory one, though stinks about the small seitan pieces. Yeah, it’s only a minor complaint – we ate very well! Everything looks great! I’d definitely love to try the Kässpatzn; it sounds really good! It was really creamy and delicious, definitely try it if you get a chance! Your travel eats posts always make me feel a mixture of jealousy, hunger, and happiness that there are so many great vegan meals in places I wouldn’t necessarily expect them. People always say how great Berlin is, now I know Munich is legendary too. That Pfanderl plate is pretty much my dream dinner. Yeah, I was a little worried that Munich wouldn’t live up to Berlin, but it definitely didn’t let me down! 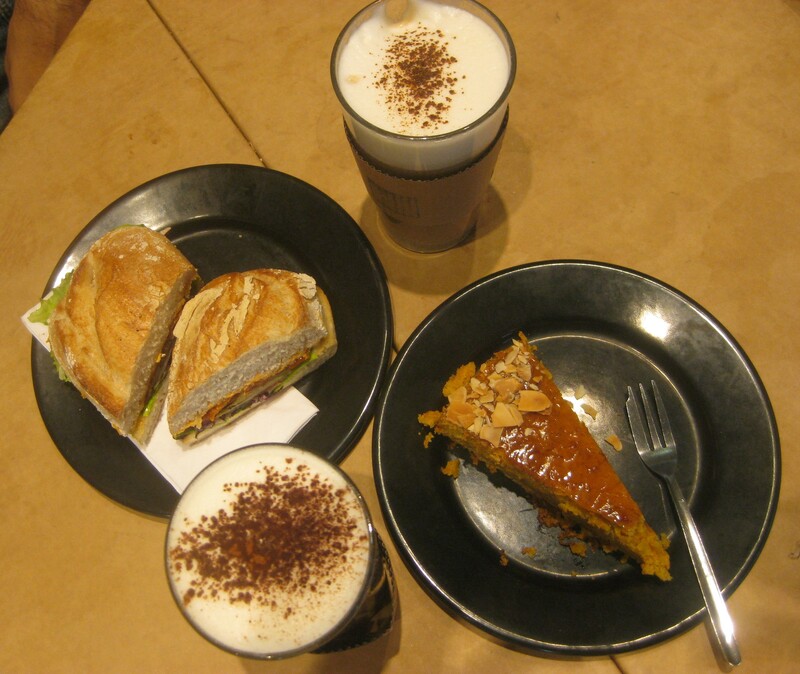 Oooh Munich sounds great and a bookshop / vegan cafe (especially one with croissants!) is right up my street. The bookshop cafe was lovely – if we hadn’t had so many things on our itinerary, it would have been great to linger! Hope you have a great trip! We found so much delicious vegan good, and the traditional German dishes at Bodhi were a real highlight.